Under contract to the City of London, we regularly maintain over 80 public sculptures, fountains and plaques. We conserved this statue in 2006 and have maintained it biennially since then. Dating from 1844, this statue was raised by the City in gratitude for the Duke's assistance with the passage of the London Bridge Approaches Act of 1827. The bronze was cast from captured cannon. It stands on an oval granite pedestal plinth with architectural mouldings, below which is a sub-plinth set with grilles acting as vents for the station beneath. Mounted on the east end of the oval sub-plinth is a bronze plaque with white enamel inlay describing the history of the statue. 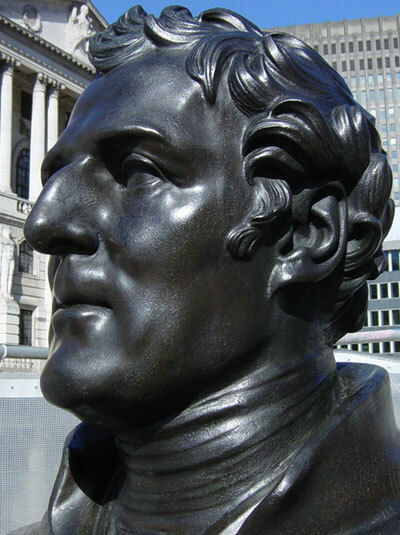 The sculptor Sir Francis Chantrey (1781-1841) is best known for portrait busts, statues and church monuments. He died three years before completion of this statue and it was finished by his assistant, Henry Weekes. 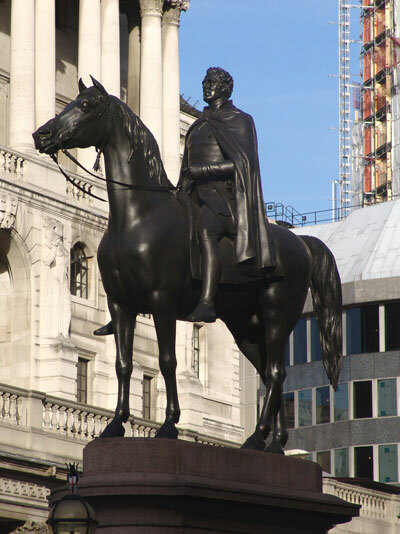 Copenhagen was the charger who bore Wellington for all eighteen hours of the Battle of Waterloo. The horse died in 1836 and is buried in an honoured grave in the grounds of Stratford Saye.